“Dihydromorphinone” redirects here. Not to be confused with dihydromorphine, a different opioid. Hydromorphone, also known as dihydromorphinone, and sold under the brand name Dilaudid among others, is an opioid used to treat moderate to severe pain. Long term use is typically only recommended for pain due to cancer. It may be used by mouth or by injection into a vein, muscle, or under the skin. Effects generally begin within half an hour and last for up to five hours. Common side effects include dizziness, sleepiness, nausea, itchiness, and constipation. Serious side effects may include abuse, low blood pressure, seizures, respiratory depression, and serotonin syndrome. Rapidly decreasing the dose may result in opioid withdrawal. Use during pregnancy or breastfeeding is generally not recommended. Hydromorphone is believed to work by activating opioid receptors, mainly in the brain and spinal cord. Hydromorphone 2 mg by mouth is equivalent to about 10 mg morphine by mouth. Hydromorphone was patented in 1921. It is avaliable as a generic medication. In the United Kingdom it costs the NHS about 0.32 £ per 2 mg tablet as of 2019. In the United States the wholesale cost of this amount is about 0.07 USD. In 2016, it was the 212th most prescribed medication in the United States, with more than 2.5 million prescriptions. Hydromorphone is made from morphine. Adverse effects of hydromorphone are similar to those of other potent opioid analgesics, such as morphine and heroin. The major hazards of hydromorphone include dose-related respiratory depression, urinary retention, bronchospasm, and sometimes, circulatory depression. More common side effects include lightheadedness, dizziness, sedation, itching, constipation, nausea, vomiting, headache, perspiration, and hallucinations. These symptoms are common in ambulatory patients and in those not experiencing severe pain. Simultaneous use of hydromorphone with other opioids, muscle relaxants, tranquilizers, sedatives, and general anesthetics can cause a significant increase in respiratory depression, progressing to coma or death. Taking benzodiazepines (such as diazepam) in conjunction with hydromorphone may increase side effects such as dizziness and difficulty concentrating. If simultaneous use of these drugs is required, dose adjustment can be done. A particular problem that may occur with hydromorphone is accidental administration in place of morphine due to a mix-up between the similar names, either at the time the prescription is written or when the drug is dispensed. This has led to several deaths and calls for hydromorphone to be distributed in distinctly different packaging from morphine to avoid confusion. Massive overdoses are rarely observed in opioid-tolerant individuals, but when they occur, they may lead to circulatory system collapse. Symptoms of overdose include respiratory depression, drowsiness leading to coma and sometimes to death, drooping of skeletal muscles, low heart rate, and decreasing blood pressure. At the hospital, individuals with hydromorphone overdose are provided supportive care, such as assisted ventilation to provide oxygen and gut decontamination using activated charcoal through a nasogastric tube. Opioid antagonists, such as naloxone, can also be administered concurrent with oxygen supplementation. Naloxone works by reversing the effects of hydromorphone, and is only administered in the presence of significant respiratory depression and circulatory depression. The effects of overdose can be exacerbated by dose dumping if the medication is taken with alcohol. Sugar cravings associated with hydromorphone use are the result of a glucose crash after transient hyperglycemia following injection, or a less profound lowering of blood sugar over a period of hours, in common with morphine, heroin, codeine, and other opiates. As with other opioids, hydromorphone (particularly during heavy chronic use) often causes temporary hypogonadism or hormone imbalance. In the setting of prolonged use, high dosage, and/or kidney dysfunction, hydromorphone has been associated with neuroexcitatory symptoms such as tremor, myoclonus, agitation, and cognitive dysfunction. This toxicity is less than that associated with other classes of opioids such as the pethidine class of synthetics in particular. In the clinical setting, excessive secretion of tears, yawning, and dilation of pupils are helpful presentations in diagnosing opioid withdrawal. Hydromorphone is a rapid acting pain killer; however, some formulations can last up to several hours. Patients who stop taking this drug abruptly may experience withdrawal symptoms, which can start within hours of taking the last dose of hydromorphone, and can last up to several weeks. Withdrawal symptoms in people who stopped taking the opioid can be managed by using opioids or non-opioid adjuncts. Methadone is an opioid commonly used for this kind of therapy. However, the selection of therapy should be tailored to each specific person. Methadone is also used for detoxification in people who have opioid addiction, such as heroin or drugs similar to morphine. It can be given orally or intramuscularly. There is controversy regarding the use of opioids for people experiencing withdrawal symptoms, since these agents can themselves cause relapse on patients when they suspend therapy. Clonidine is a non-opioid adjunct, which can be used in situations where opioid use is not desired, such as in patients with high blood pressure. CNS depressants may enhance the depressant effects of hydromorphone, such as other opioids, anesthetics, sedatives, hypnotics, barbiturates, benzodiazepines, phenothiazines, chloral hydrate, dimenhydrinate, and glutethimide. The depressant effect of hydromorphone may also be enhanced by monoamine oxidase inhibitors (MAO inhibitors), first-generation antihistamines (brompheniramine, promethazine, diphenhydramine, chlorphenamine), beta blockers, and alcohol. When combined therapy is contemplated, the dose of one or both agents should be reduced. Hydromorphone is a semi-synthetic μ-opioid agonist. As a hydrogenated ketone of morphine, it shares the pharmacologic properties typical of opioid analgesics. Hydromorphone and related opioids produce their major effects on the central nervous system and gastrointestinal tract. These include analgesia, drowsiness, mental clouding, changes in mood, euphoria or dysphoria, respiratory depression, cough suppression, decreased gastrointestinal motility, nausea, vomiting, increased cerebrospinal fluid pressure, increased biliary pressure, and increased pinpoint constriction of the pupils. Hydromorphone is available in parenteral, rectal, subcutaneous, and oral formulations, and can also be administered via epidural or intrathecal injection. Hydromorphone has also been administered via nebulization to treat shortness of breath, but it is not used as a route for pain control due to low bioavailability. Concentrated aqueous solutions of hydromorphone hydrochloride have a visibly different refractive index from pure water, isotonic 9‰ (0·9 per cent) saline and the like, especially when stored in clear ampoules and phials can acquire a slight clear amber discolouration upon exposure to light; this reportedly has no effect on the potency of the solution, but 14-dihydromorphinones such as hydromorphone, oxymorphone, and relatives come with instructions to protect from light. Ampoules of solution which have developed a precipitate should be discarded. Battery-powered intrathecal drug delivery systems are implanted for chronic pain when other options are ruled out, such as surgery and traditional pharmacotherapy, provided that the patient is considered a suitable fit in terms of any contraindications, both physiological and psychological. An extended-release (once-daily) version of hydromorphone is available in the United States. Previously, an extended-release version of hydromorphone, Palladone, was available before being voluntarily withdrawn from the market after a July 2005 FDA advisory warned of a high overdose potential when taken with alcohol. As of March 2010, it is still available in the United Kingdom under the brand name Palladone SR, Nepal under the brand name Opidol, and in most other European countries. The chemical modification of the morphine molecule to hydromorphone results in higher lipid solubility and greater ability to cross the blood–brain barrier to produce more rapid and complete central nervous system penetration. On a per milligram basis, hydromorphone is considered to be five times as potent as morphine; although the conversion ratio can vary from 4–8 times, five times is in typical clinical usage. The development of tolerance also can vary among individuals. Patients with renal abnormalities must exercise caution when dosing hydromorphone. In those with renal impairment, the half-life of hydromorphone can increase to as much as 40 hours. The typical half-life of intravenous hydromorphone is 2.3 hours. Peak plasma levels usually occur between 30 and 60 minutes after oral dosing. The onset of action for hydromorphone administered intravenously is less than 5 minutes and within 30 minutes of oral administration (immediate release). While other opioids in its class such as codeine or oxycodone are metabolized via CYP450 enzymes, hydromorphone is not. Hydromorphone is extensively metabolized in the liver to hydromorphone-3-glucoronide, which has no analgesic effects. As similarly seen with the morphine metabolite, morphine-3-glucoronide, a build-up in levels of hydromorphone-3-glucoronide can produce excitatory neurotoxic effects such as restlessness, myoclonus and hyperalgesia. Patients with compromised kidney function and older patients are at higher risk for metabolite accumulation. Hydromorphone is made from morphine either by direct re-arrangement (made by reflux heating of alcoholic or acidic aqueous solution of morphine in the presence of platinum or palladium catalyst) or reduction to dihydromorphine (usually via catalytic hydrogenation), followed by oxidation with benzophenone in presence of potassium tert butoxide or aluminium tert butoxide (Oppenauer oxidation). The 6 ketone group can be replaced with a methylene group via the Wittig reaction to produce 6-Methylenedihydrodesoxymorphine, which is 80× stronger than morphine. Changing morphine into hydromorphone increases its activity and, therefore, makes hydromorphone about eight times stronger than morphine on a weight basis, all other things being equal. Changed also is lipid solubility, contributing to hydromorphone’s having a more rapid onset of action and alterations to the overall absorption, distribution, metabolism, and elimination profile as well as the side effect profile (in general, less nausea and itching) versus that of morphine. The semi-synthetic opiates, of which hydromorphone and its codeine analogue hydrocodone are among the best-known and oldest, include a huge number of drugs of varying strengths and with differences among themselves both subtle and stark, allowing for many different options for treatment. Hydromorphone is more soluble in water than morphine; therefore, hydromorphone solutions can be produced to deliver the drug in a smaller volume of water. The hydrochloride salt is soluble in three parts of water, whereas a gram of morphine hydrochloride dissolves in 16 ml of water; for all common purposes, the pure powder for hospital use can be used to produce solutions of virtually arbitrary concentration. When the powder appeared on the street, this very small volume of powder needed for a dose means that overdoses are likely for those who mistake it for heroin or other powdered narcotics, especially those that have been diluted prior to consumption. Hydromorphone is made from morphine via catalytic hydrogenation and is also produced in trace amounts by human and other mammalian metabolism of morphine and occasionally appears in assays of opium latex in very small quantities, apparently forming in the plant in an unknown percentage of cases under poorly understood conditions. Some bacteria have been shown to be able to turn morphine into closely related drugs including hydromorphone and dihydromorphine among others. The bacterium Pseudomonas putida serotype M10 produces a naturally occurring NADH-dependent morphinone reductase that can work on unsaturated 7,8 bonds, with result that, when these bacteria are living in an aqueous solution containing morphine, significant amounts of hydromorphone form, as it is an intermediary metabolite in this process; the same goes for codeine being turned into hydrocodone. The process gave rise to various concentrations of hydromorphone, dihydromorphine, hydromorphinol, and oxymorphone during the experiments. Three paths were found: from morphine to hydromorphone with dihydromorphine as the penultimate step, from morphine to hydromorphone with morphinone as the penultimate step, and from morphine to hydromorphinol to hydromorphone. Hydromorphone was first synthesized and researched in Germany by Knoll (first patent 1922) who introduced it to the mass market in 1926 under the brand name Dilaudid, indicating its derivation and degree of similarity to morphine (by way of laudanum)—compare Dicodid (hydrocodone), Dihydrin (dihydrocodeine), and Dinarkon (oxycodone). The brand name Dilaudid is more widely known than the generic term hydromorphone and, because of this, Dilaudid is often used generically to mean any form of hydromorphone. Hydromorphone is known in various countries around the world by the brand names Hydal, Dimorphone, Sophidone LP, Dilaudid, Hydrostat, Hydromorfan, Hydromorphan, Hymorphan, Laudicon, Opidol, Palladone, Hydromorph Contin and others. 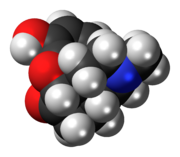 An extended-release version of hydromorphone called Palladone was available for a short time in the United States before being voluntarily withdrawn from the market after a July 2005 FDA advisory warned of a high overdose potential when taken with alcohol. As of March 2010, it is still available in the United Kingdom under the brand name Palladone SR, Nepal under the brand name Opidol, and in most other European countries. There is an extended-release (once-daily) version of Hydromorphone available (in the United States). In the United States, the main drug control agency, the Drug Enforcement Administration, reports an increase in annual aggregate production quotas of hydromorphone from 766 kilograms (1,689 pounds) in 1998 to 3,300 kilograms (7,300 lb) in 2006, and an increase in prescriptions in this time of 289%, from about 470,000 to 1,830,000. The 2013 production quota was 5,968 kilograms (13,157 lb). Like all opioids used for analgesia, hydromorphone is potentially habit-forming and is listed in Schedule II of the United States Controlled Substances Act of 1970 as well as in similar levels under the drugs laws of practically all other countries and is listed in the Single Convention On Narcotic Drugs. The DEA ACSCN for hydromorphone is 9150. Hydromorphone is listed under the German Betäubungsmittelgesetz as a Betäubungsmittel in the most restricted schedule for medicinal drugs; it is similarly controlled in Austria (Suchtgift) under the SMG and the Swiss BetmG. The Misuse of Drugs Act 1971 (United Kingdom) and its French, Canadian, Australian, Italian, Czech, Croatian, Slovenian, Swedish, Polish, Spanish, Greek, Russian, and other laws similarly control it, as do virtually all other countries. In 2009, Ohio approved the use of an intramuscular injection of 500 mg of hydromorphone and a supratherapeutic dose of midazolam as a backup means of carrying out executions when a suitable vein cannot be found for intravenous injection. Hydromorphone and midazolam was injected intravenously to execute double-murderer Joseph Wood in Arizona on 24 July 2014. Wood was heavily sedated (surgical anesthesia) within four minutes from start but took almost two hours to transition to stage 4 (cessation of respiration) and death. ^ Coda BA, Rudy AC, Archer SM, Wermeling DP (July 2003). “Pharmacokinetics and bioavailability of single-dose intranasal hydromorphone hydrochloride in healthy volunteers”. Anesth. Analg. 97 (1): 117–23, table of contents. CiteSeerX 10.1.1.551.6509. doi:10.1213/01.ANE.0000066311.40978.4F. PMID 12818953. ^ a b c d e f g h i j “Hydromorphone Hydrochloride Monograph for Professionals”. Drugs.com. American Society of Health-System Pharmacists. Retrieved 15 April 2019. ^ Vallner JJ, Stewart JT, Kotzan JA, Kirsten EB, Honigberg IL (April 1981). “Pharmacokinetics and bioavailability of hydromorphone following intravenous and oral administration to human subjects”. J Clin Pharmacol. 21 (4): 152–6. doi:10.1002/j.1552-4604.1981.tb05693.x. PMID 6165742. ^ a b c British national formulary : BNF 76 (76 ed.). Pharmaceutical Press. 2018. pp. 24, 456. ISBN 9780857113382. ^ “Hydromorphone Use During Pregnancy”. Drugs.com. Retrieved 15 April 2019. ^ Vardanyan, Ruben; Hruby, Victor (2006). Synthesis of Essential Drugs. Elsevier. p. 25. ISBN 9780080462127. ^ “Drug interactions between Dilaudid and Valium”. Retrieved 19 November 2014. ^ a b “Dilaudid (hydromorphone hydrochloride) Oral LiquidDilaudid (hydromorphone hydrochloride) Tablets”. app.purduepharma.com. Retrieved 5 November 2015. ^ Cohen, MR (June 1992). “Doctor was thinking of the wrong drug”. Nursing. 22 (6): 25. PMID 1377371. ^ Tuohy, N; Paparella, S (December 2005). “Look-alike and sound-alike drugs: errors just waiting to happen”. J Emerg Nurs. 31 (6): 569–71. doi:10.1016/j.jen.2005.07.012. PMID 16308048. ^ Palladone Pain Drug Pulled Off the Market. ^ Brennan, MJ (2013). “The effect of opioid therapy on endocrine function”. The American Journal of Medicine. 126 (3 Suppl 1): S12–8. doi:10.1016/j.amjmed.2012.12.001. PMID 23414717. ^ a b Thwaites, D; McCann, S; Broderick, P (Aug 2004). “Hydromorphone neuroexcitation”. Journal of Palliative Medicine. 7 (4): 545–50. doi:10.1089/1096621041838362. PMID 15353098. ^ Gagnon, DJ; Jwo, K (2013). “Tremors and agitation following low-dose intravenous hydromorphone administration in a patient with kidney dysfunction”. Annals of Pharmacotherapy. 47 (7–8): e34. doi:10.1345/aph.1R784. PMID 23715067. ^ Rapp, SE; Egan, KJ; Ross, BK; et al. (May 1996). “A multidimensional comparison of morphine and hydromorphone patient-controlled analgesia”. Anesth. Analg. 82 (5): 1043–8. doi:10.1213/00000539-199605000-00029. PMID 8610865. ^ a b c d e “Hydromorphone / Dilaudid Detox”. Rapid Drug Detox. Retrieved 5 November 2015. ^ a b “Dilaudid Abuse & Addiction Withdrawals, Signs, Symptoms & Effects – Acadiana Addiction Center”. www.acadianaaddiction.com. Retrieved 5 November 2015. ^ a b “Hydromorphone Drug Information”. Narconon International. Retrieved 5 November 2015. ^ “Withdrawal Syndromes: Practice Essentials, Background, Pathophysiology”. 2019-02-05. ^ a b “DILAUDID® ORAL LIQUID and DILAUDID® TABLETS Package Insert” (PDF). FDA. 2007. Retrieved 5 November 2015. ^ “Opioid withdrawal protocol” (PDF). www.saskatoonhealthregion.ca. Archived from the original (PDF) on 25 November 2015. Retrieved 5 November 2015. ^ a b Treatment, Center for Substance Abuse (1 January 2004). “4 Treatment Protocols”. Substance Abuse and Mental Health Services Administration (US). ^ Bell CC (1983). “Simultaneous treatment of hypertension and opiate withdrawal using an alpha 2 adrenergic agonist”. J Natl Med Assoc. 75 (1): 89–93. PMC 2561435. PMID 6131140. ^ Nersesyan, Hrachya; Slavin, Konstantin V (1 June 2007). “Current aproach [sic] to cancer pain management: Availability and implications of different treatment options”. Therapeutics and Clinical Risk Management. 3 (3): 381–400. ISSN 1176-6336. PMC 2386360. PMID 18488078. ^ a b Sarhill, Nabeel; Walsh, Declan; Nelson, Kristine A. (9 February 2014). “Hydromorphone: pharmacology and clinical applications in cancer patients”. Supportive Care in Cancer. 9 (2): 84–96. doi:10.1007/s005200000183. ISSN 0941-4355. ^ Knight, Karen H. (Feb 2007). “Implantable Intrathecal Pumps for Chronic Pain: Highlights and Updates”. Croatian Medical Journal. 48 (1): 22–34. PMC 2080496. PMID 17309136. ^ “EXALGO (hydromorphone hydrochloride) extended release tablets Package Insert” (PDF). FDA. 2010. Retrieved 5 November 2015. ^ a b “zalicus.com”. www.zalicus.com. Retrieved 2 September 2017. ^ “Opioid Conversion Guidelines” (PDF). alfredhealth.org.au. Archived from the original (PDF) on 4 March 2016. Retrieved 2 September 2017. ^ “Switching Opioids” (PDF). mcmaster.ca. Retrieved 2 September 2017. ^ “Hydromorphone”. That’s Poppycock!. 19 February 2009. ^ “Dilaudid Clinical Pharmacology”. rxlist.com. Archived from the original on 12 June 2008. Retrieved 2 September 2017. ^ Gregory, Thomas B. (2013). “Hydromorphone: Evolving to Meet the Challenges of Today’s Health Care Environment”. Clinical Therapeutics. 35 (12): 2007–2027. doi:10.1016/j.clinthera.2013.09.027. PMID 24290733. ^ Buck, Marcia (July 2008). “Use of Hydromorphone in Children and Adolescents” (PDF). University of Virginia Children’s Hospital. Retrieved 5 November 2015. ^ Long, MT; Hailes, AM; Kirby, GW; Bruce, NC (October 1995). “Transformations of morphine alkaloids by Pseudomonas putida M10”. Appl. Environ. Microbiol. 61 (10): 3645–9. PMC 167664. PMID 7487001. ^ Preparation from morphine: German patent 365683; German patent 623821 (1922, 1936 both to Knoll); by oxidation of dihydromorphine. ^ Felden, L; Walter, C; Harder, S; et al. (22 September 2011). “Comparative Clinical Effects of Hydromorphone and Morphine”. British Journal of Anaesthesia. 107 (3): 319–328. doi:10.1093/bja/aer232. PMID 21841049. Retrieved 10 March 2012. ^ “Information for Healthcare Professionals: Hydromorphone Hydrochloride Extended-Release Capsules (marketed as Palladone)”. Center for Drug Evaluation and Research. 15 July 2005. Retrieved 16 August 2016. ^ “EXALGO safety profile”. 1 March 2013. Archived from the original on 1 March 2013. Retrieved 2 September 2017. ^ “Proposed Adjustments to the Aggregate Production Quotas for Schedule I and II Controlled Substances and Assessment of Annual Needs for the List I Chemicals Ephedrine, Pseudoephedrine, and Phenylpropanolamine for 2013”. Drug Enforcement Administration (DEA), Department of Justice. 20 June 2014. Retrieved 26 July 2014. ^ “Ohio Prisons Director Announces Changes to Ohio’s Execution Process”. Ohio Department of Rehabilitation and Correction. 13 November 2009. Archived from the original on 15 January 2013. Retrieved 17 January 2014. ^ “Arizona execution takes two hours”. BBC News. 24 July 2014. Retrieved 24 July 2014. Hydromorphone consumer drug information Drugs.com.